Have you had your cup of coffee today? 400 million cups of coffee are consumed every day in the United States, which makes coffee one of the most popular hot beverages in the country. This explains why there is a large number of coffee shops in the country. In fact, you can find one on almost every major street. Nothing beats a good cup of coffee. If your morning isn’t complete without your cup of morning coffee, but you don’t want to spend your five minutes every morning on the line at Starbucks, you need to consider getting a coffee maker. It will enable you to take matters into your own hands and make your own coffee the way you want it, whenever you want it. Fortunately, most coffee makers these days have become so innovative and user-friendly. 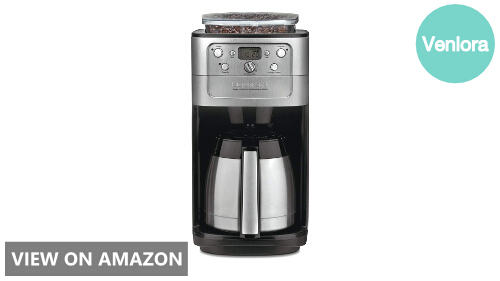 Making your own cup of coffee with them is as easy as pushing a button or two. 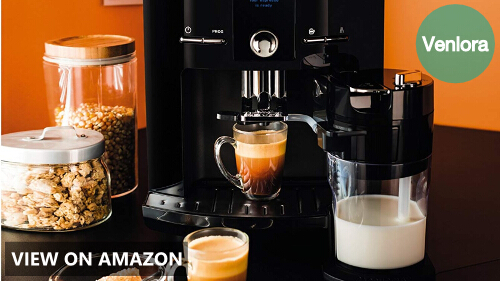 In this post, we are going to look at some of the best automatic coffee makers in the market. But first, what is a coffee maker? As the name suggests, a coffee maker is a machine or a pot for brewing coffee from ground coffee beans. 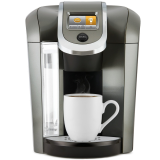 An automatic drip coffee maker, in particular, is an electric device that automatically brews hot coffee. Don’t let the word “automatic” or “electric” intimidate you into thinking that it is a complicated apparatus, because it’s not. In fact, an automatic coffee maker is considered to be one of the simple, relatively low-tech, but highly efficient machines you can have in your home. Despite the numerous models and types of coffee makers these days, the basic parts of a coffee maker include a hot plate, a glass or ceramic pot, a reservoir for water, and a filter basket or funnel. Cold water is poured into the reservoir. When you switch the coffee maker on, the cold water is passed from the bottom of the reservoir through a thin aluminum tube attached to the hot plate that is usually located at the base of the coffee maker. The other end of the aluminum tube has a tube leading to the drip area and somewhere in this system is a one-way valve. The water heats up and boils, causing bubbles to move up the tube to the drip area. The one-way valve ensures that no water goes back to the reservoir, and only fresh cold water comes to replace the water that is pushed up by the bubbles through an insulated hose, and down onto the ground coffee contained in a filter basket or, in some models, a simple funnel with a paper or metal filter within. The hot water and the coffee mix together, and then passes through the filter, down into the glass or ceramic pot. This pot sits on the top side of the same hot plate that is used to boil the water. This time, heat from the hot plate is used to keep the brewed coffee hot. The level of automation of coffee makers have certainly advanced through the years, yet it’s interesting to see how, despite the advancements, the basic principles remain the same. Coffee shops and coffee chains or franchises are practically everywhere, not just in the major cities and towns. In fact, you can even find ready-to-drink coffee in various serving sizes now made available in supermarkets, grocery stores, and convenience stores. 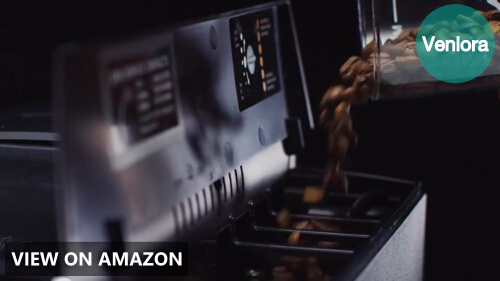 Even vending machines that sell coffee are now a huge thing in many countries. It appears that there are no boundaries when it comes to places you can go to when you want to enjoy a cup of coffee. 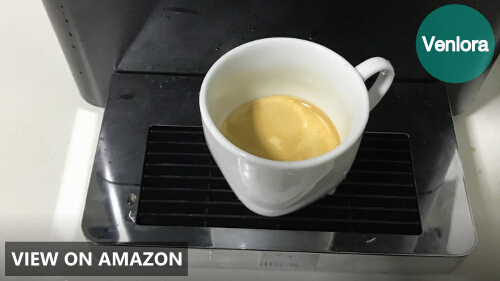 So why should you buy an automatic coffee maker when you can easily get your hands on a cup of coffee from one of these places? The first reason, obviously, is that you get to make your coffee whenever you want it. However, you want it. Sure, you can just swing by the nearest Starbucks or pop by the closest 7-11 and grab a cup of your favorite coffee. However, if you do this, you and your coffee will be at the mercy of the barista or the manufacturer of the prepackaged coffee should you decide to take that route. Having your own coffee maker means you call the shots on how you want your coffee. You want it strong? You got it. Want it at a certain temperature? You got it. You are also assured that you know what goes into the cup of coffee that you drink every morning. If you are doubtful about the ingredients listed on the store-bought coffee, or even the sanitary conditions of the coffee shop you frequent for your daily caffeine fix, making your own coffee in your home is definitely the way to go. Besides, there is something reassuring about homemade food and drinks. In addition to getting great taste out of your cup of coffee, you can be sure that you’d be able to preserve most of the health benefits of the coffee beans you are using when you make your own coffee from scratch. In the long run, having your own automatic coffee maker is also far more economical than spending around $3 on a cup of freshly brewed coffee from Starbucks every day (and that is on the presumption that you only drink one cup a day). Also, if you are making coffee for a group of people, using a coffee maker will make the process much quicker than, say, going about it manually. So the next time you brush off the decision to get an automatic coffee maker, think of the benefits you’d get from it. This is one small investment you won’t regret. We are rounding up the five best automatic coffee makers for 2018 to make it easier for you to decide which one is the perfect match for you. It is fully automatic, compact, and very user-friendly. 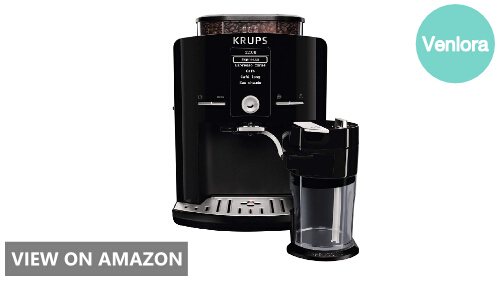 The Krups EA8298 boasts the thermoblock heating technology with a 15-bar high-pressure pump for excellent flavor extraction, and the hydraulic automated tamping system will have you looking like a professional barista when you make espresso for your guests. While it may be compact, they still managed to squeeze in a 1.8-liter water tank, ready to get to work when you have to make coffee for many people. You also get to enjoy more coffee options, since this espresso maker also has a removable milk frother for cappuccino. 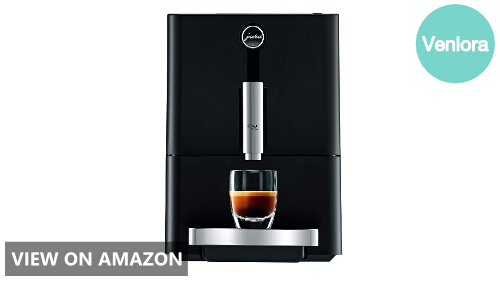 Make the ultimate espresso with this ultra-compact coffee machine from Jura. This 1-cup machine features a multi-level grinder and micro-brewer for that perfect cup of espresso. It’s very simple to operate, because of the straightforward touch panel to choose from three cup sizes and two aroma levels. Speaking of efficiency, it also comes with Jura’s Zero-Energy Switch as well as an automatic energy-saving mode when not in use. You can also program it to switch off at a predetermined time, making it perfect for super busy individuals. You can practically host a coffee party with this 12-cup coffee maker from Cuisinart. 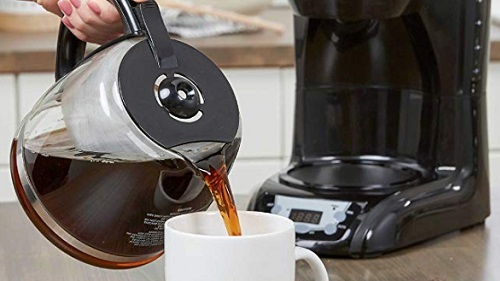 This 24-hour programmable coffee maker features a double-wall insulated stainless steel carafe with a built-in burr grinder that automatically grinds the beans before brewing them. 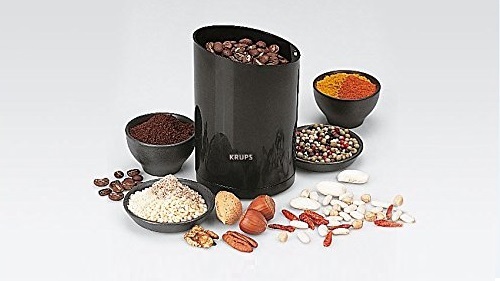 Its bean hopper can hold up to 8 ounces of coffee beans, and you get to choose the strength (Mild, Medium or Strong) as well as the settings for the grinding of the beans. It comes with a gold tone permanent filter and a charcoal water filter that effectively removes impurities in the water. Aside from a Brew Pause feature, it also has an Automatic Shut-Off function, which turns the unit off when brewing is done. Living up to its name, this super-automatic coffee machine from DeLonghi is programmable, with a Direct-to-Brew system that grinds beans instantly. It is also equipped with DeLonghi’s exclusive Cappuccino System frother, mixing steam and milk to create that perfect froth for your favorite cup of cappuccino. Hate waiting? The Rapid Cappuccino system keeps the temperature at the optimal level so you can instantly brew cup after cup, without having to wait in between cups. 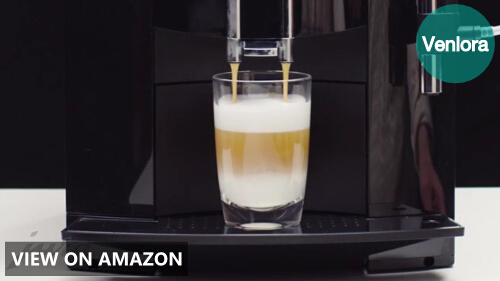 If you’re a fan of Italian drinks and would want to make authentic frothy cups, then this unit is your match. It is very easy to operate and offers many options to allow you to enjoy coffee without making the process laborious. 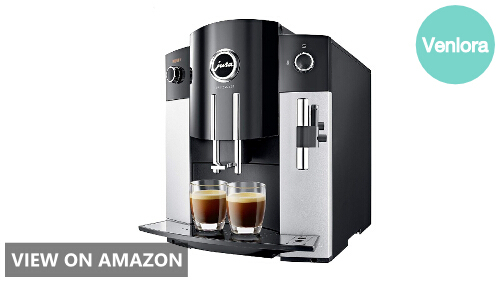 The features of this Jura 15068 automatic coffee machine sure are very impressive. The coffee spout is adjustable, between 2.6 and 4.4 inches, so you can practically use any cup size. If you are picky with the foam quality for your brew, don’t worry, because the fine foam frothier integrated into this unit guarantees a fine and feather-light consistency you won’t see from other coffee makers. It also looks so sleek and elegant, with its matte and glossy black finish and sophisticated lines that won’t look out of place even in your office. The best part? This unit is very simple to operate. You just turn, press, and enjoy your coffee with the minimum fuss! You might be thinking that, since all coffee makers pretty much work the same way, then any unit would do the job. Well, you’d be wrong. Just as the type of coffee bean makes a difference in how the resulting cup of coffee would taste like, the type of coffee maker used to produce that cup of coffee also matters. After all, making coffee is a complete experience. To simplify the coffee maker shopping process, here are some questions you’d have to address. The first thing you should consider is how much work you expect the coffee maker to do for you. If you expect to be the only one drinking coffee, then a single-cup unit is probably the most ideal. However, if it is intended for use at a family home or at an open office, consider one with a larger capacity, and one that can make more cups in a short period of time. If you prefer your coffee brewed black, straight up, then a basic unit would probably suffice. However, if you are more adventurous, or you prefer to experiment with your coffee, then you’d better look for other options. Do you have a thing for espresso? 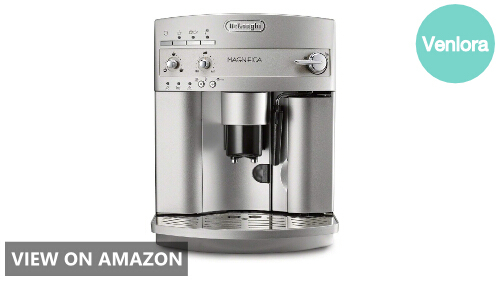 Go for an espresso machine. If you like coffee with milk, then you should look for one with an extra tank for milk. If you are partial to cappuccino and latte, a unit with an integrated or removable milk frother is a good idea. The dimensions of the coffee maker matter when you take into account the place you will be putting it on. Coffee makers are generally meant for counter tops, but not all kitchen countertops or tables are the same. If you do not have enough space, it’d be a better idea to stick to a compact unit. Most of the latest units are now fully programmable. It takes just one or two taps, and you will get the coffee cup you want. Look for a unit that is programmable and easy to program. Remember that the coffee maker is supposed to be a simple machine. So if programming it is proving to be a headache, then it’s time to check out another model. Controls that you should pay extra attention to include the cup size (so you can choose how much coffee you want to drink), the brew strength of the coffee (usually, the options include Mild, Moderate and Strong, with some models having the Extra Strong option), and the grinder (which lets you control how coarse the quality of the ground coffee beans would be). Of course, some come with timers and the Auto-Stop feature that can also come in handy. 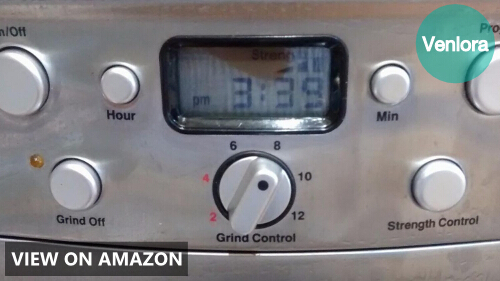 It enables the unit to shut off when brewing is over automatically. 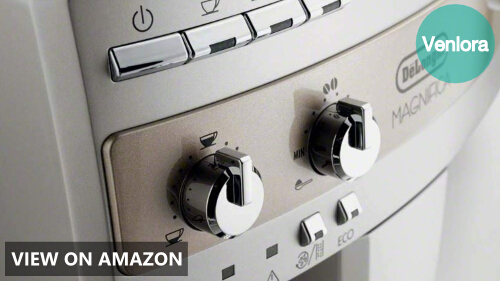 This is an energy-saving feature, not to mention the added convenience for those who cannot be bothered to keep watch over the machine while it is brewing. 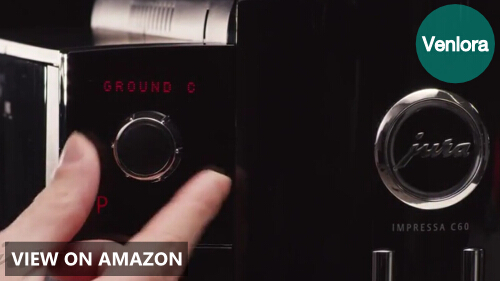 You should also take note of how the controls are presented or integrated into the coffee maker. Some have buttons, while others have touch displays. Whatever your choice, the important thing is that the interface should be easy to understand and operate. After making coffee and enjoying it, the cleaning and maintenance of the coffee maker should also be taken into consideration. Machines with removable parts are usually easier to clean, and if they are dishwasher-friendly, that certainly makes the process much easier. 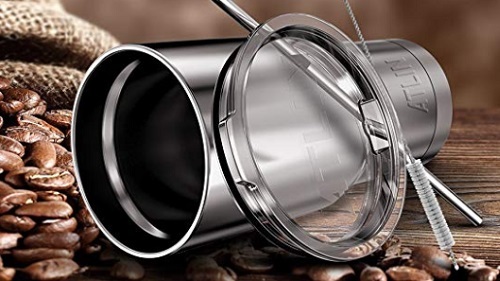 Many users also express a preference for a coffee maker made of stainless steel over plastic because they are also generally easier to maintain. You can also go for a model with a Self-Clean cycle, which usually just prompts you to add white vinegar and water from time to time, and it will clean itself. Of course, expect these units to set you back several hundreds of dollars more. Yes, you should also care about the aesthetic aspect of things, because coffee makers are increasingly becoming more and more sophisticated, and could be seen as devices that add a touch of class to any room. At the end of the day, however, what you should prioritize is its coffee-making capability. Looking good is just icing on the cake. Or froth on your cappuccino, if you will.